Saturday March 24. Palm Sunday Eve. In the process of transferring the hosting for my SoloMan Dutch and English websites, from Holland to Go-Daddy, the Dutch web vanished in a puff of smoke. It took me yesterday and today to get it back up. But I made a few improvements and added links in the side bar, of this site as well, for a quick way to find all my slide and video albums as well as my YouTube videos. The latter is indexed by popularity. The first one uploaded on Christmas eve 2016 has nearly 9,000 views. So, maybe, you might like it as well. I am still learning, started out with the Go Pro and now also have a good video set up on my new Nikon camera. 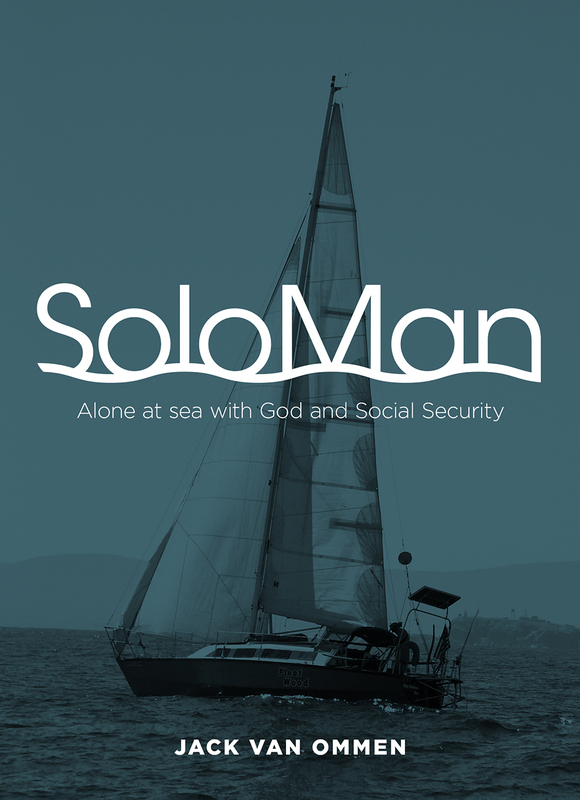 If you have been contemplating splurging on the color version of SoloMan you have until March 31st to take advantage of the temporary, once in a Blue Moon, price reduction. On April 1 Amazon reduces my royalty on this version. 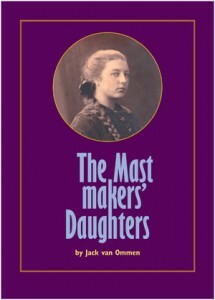 I have redone all the Kindle versions of SoloMan and The Mastmakers’ Daughters and as I reported in the previous blogs they look a 100% better than the previous versions. I have also updated, all the paperback books at the same time. I am still expecting answers from Amazon to have them replace the worst problems with the Kindle version in the period between November 2016 and April 2017, when I was underway. Amazon has a good system to catch the errors on the print versions but not on the e-book/kindle. But I have this under control now. Repair progress: The weather remains cold and windy but I have had a few days with the sun warming the boat up enough to epoxy the engine well. I have lowered the engine mount bases, 2 inch thick Iroko which had to be lowered nearly 4 inches. It is going to be a very tight squeeze, lengthwise. I am holding my breath, looks like the 4″ exposed shaft from transmission to the packing gland may end up with as little as one inch. 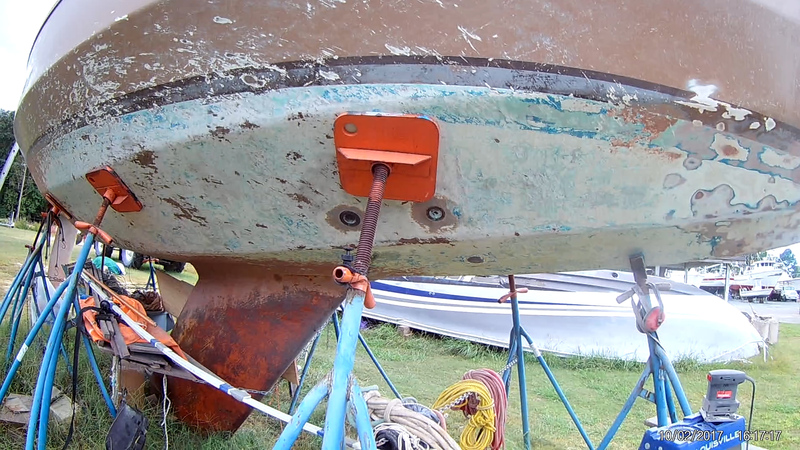 My next big expense is going to be the replacement of the Harken rudder bearing. I may have to bite the bullet at close to $800. I had hoped to replace just the inner part of the bearing, the rest is still in good shape. If the engine placement goes without a hitch then I hope to be able to float for the April 27th Blessing of the Fleet. I have been walking the stations of the cross on Friday evening here at the Saint Charles of Borromeo church with my Latin hermanos y hermanas. Last Saturday the Knights of Columbus cooked up a great St. Patrick’s Day dinner. Most of the small congregation knows me by now by name. I have made many wonderful friendships with them and others here. I am looking forward to celebrate Easter with them. There are a few coincidences on the calendar this week which make for a special Passover and Easter. March 31st is another Blue Moon. It is also Jewish Passover/Pesach and Purim was last January 31st which was also a Blue Moon. Easter is on April Fools day. If you you are born after after April 1 1956 this will be the first year for you to celebrate Easter on April 1, Mardi Gras on March 13 and Valentine’s Day and Ash Wednesday on March 14. This will be the third time for me. It happened in 1956 and 1945. I have searched when Passover might have been on a Blue Moon day before but most likely that will be a once in a life time/blue moon occasion. I wish all my Jewish friends a Chag Pesach kasher vesame’ach חַג כָּשֵׁר וְשָׂמֵחַ and my Christian friends a Blessed and Happy Easter. Our mother gave the homily on Good Friday, just before the 1945 April 1 Easter Sunday with the Dutch women prisoners in the Dachau concentration camp. 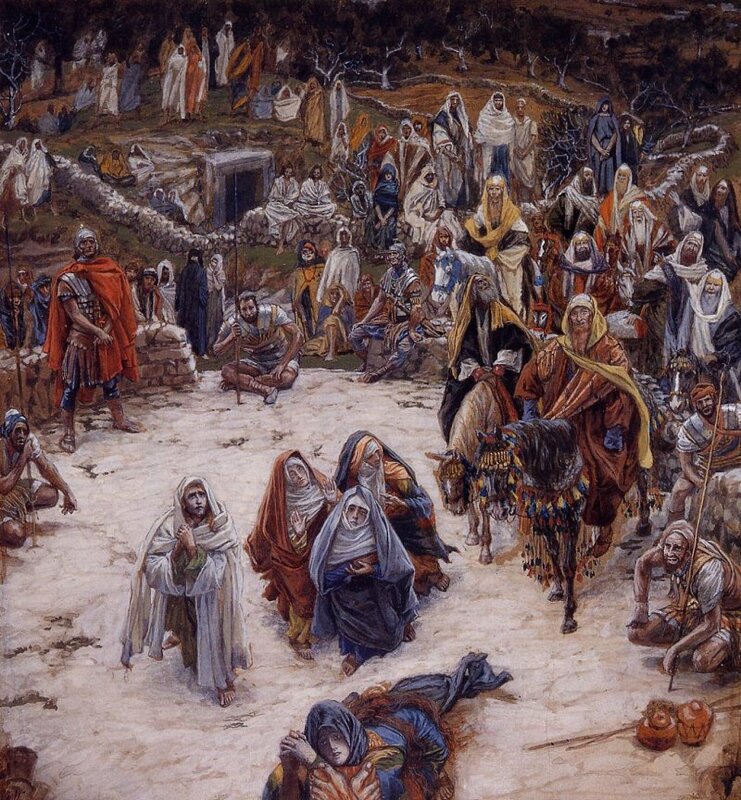 Her theme was: “The risen Lord Jesus Christ was first seen by women, by women who had knelt at the foot of the Cross”. Tuesday March 13. Winter again. 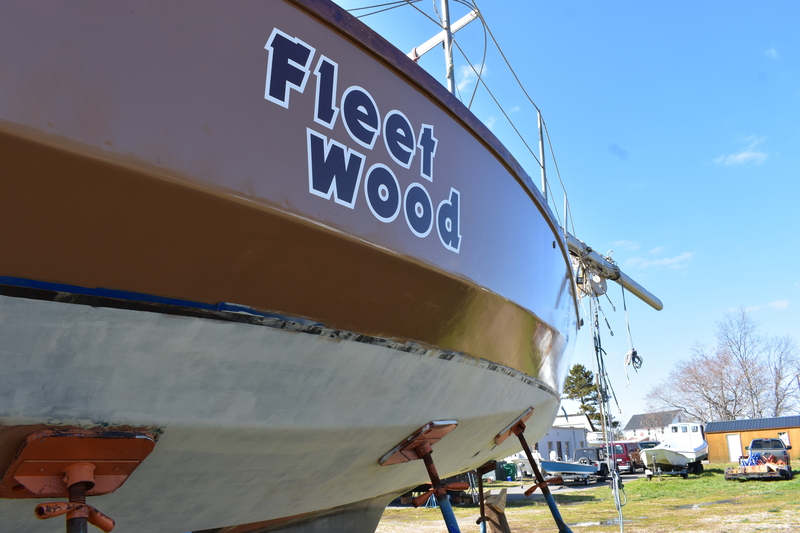 We had a few teasers of warm spring like weather but it snowed last night and a cold stinging north easterly makes it difficult to get any work done on “Fleetwood”. I have used the time inside to finish the updates on “SoloMan”. By accident I discovered a way to resolve the recurring lay out problems and moving pictures in the Kindle books. I can now recommend the revised electronic versions with complete confidence. The paperback versions of both the Dutch and English color and black and white books have also been updated. If you have wanted to read the color versions you have until the end of this month before I will raise the price again, when the temporary higher royalty runs out. See details on the previous blog. The way Amazon calculates their royalties is a very confusing act of smoke and mirrors. Before they took over the function of their subsidiary printing company, Create Space, the royalty was 80% and now will be 60%. This sounds like a really good deal still, until I ran the numbers. The royalty is not calculated on the Sales Price but on the sales price, less production cost ( on which Amazon has a mark up) and the shipping costs and taxes. As an example on my black and white SoloMan print book, with an Amazon sales price of $19.50 I end up with $ 7.19 or 35% under their 60% royalty. So, read the small print…….before you sell your soul to the Amazon store. Here is a good excuse for you to come visit me and discover this wonderful corner of the world. I have come to feel very much at home here and it will be difficult to depart from here. 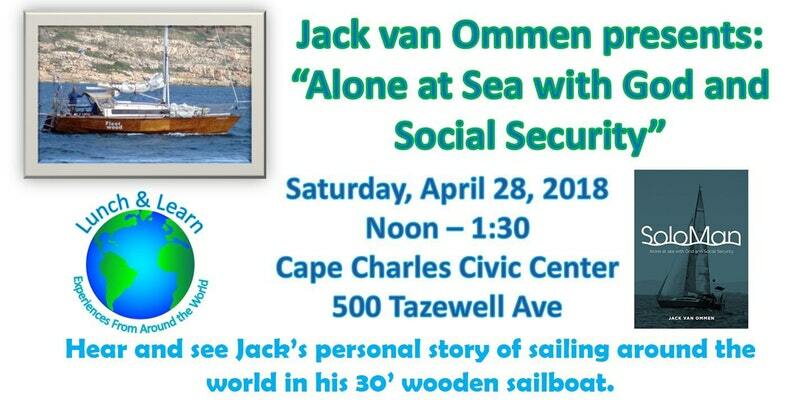 Come join the Friends of Cape Charles Memorial Library for lunch at the Cape Charles Civic Center on Saturday, April 28, at noon, and learn about Dutch-American author Jack van Ommen’s journeys around the world. Jack was eight when the war ended, and when he was nineteen he immigrated to the United States. 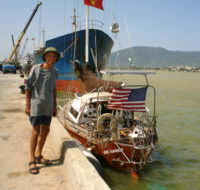 In 2005 he left California on a solo sailing voyage on his 30-foot sloop “Fleetwood”. He has crossed every ocean, visited sixty countries and six continents, so far. His articles appear regularly in U.S. and Dutch papers and magazines. Enjoy lunch as he describes his experiences, shows slides of his journey, and tells you how he landed in Cape Charles. $10 cost includes the presentation, and a lunch, including of your choice of sandwich, chips, fruit, cookie, and water. Yesterday was my 81st. birthday. Rob, the Harbor Master at the Cape Charles Yacht Center gave me ride in to Chesapeake to be with my daughter and her family until Monday morning. The weather has been hit and miss to try and get the hull damage repaired. The last coat on the port side topsides finish was rolled on yesterday. The starboard side, which suffered the most on the surface, still needs one more coat. I am using Awlgrip two part Linear Polyurethane. 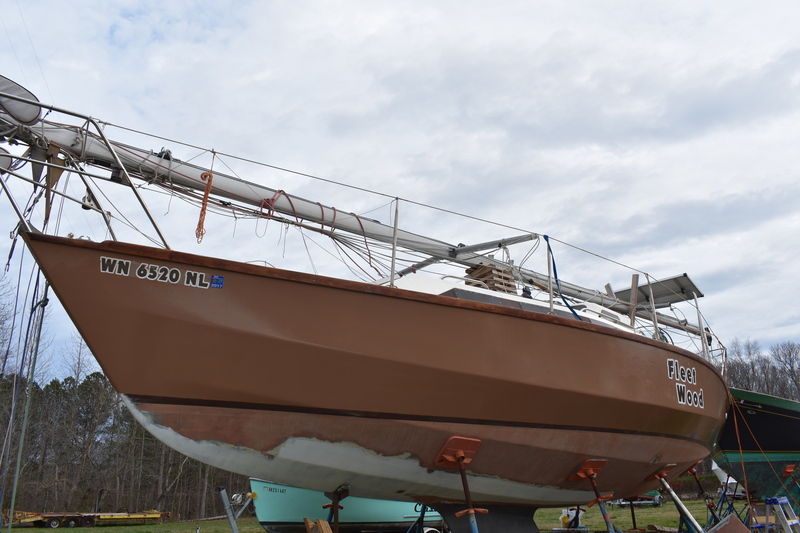 The keel was cleaned up and faired and has four coats of epoxy barrier coat. Louis, at L.C.N. Machine Shop in Exmore, Va., managed to straighten the rudder shaft, now I am shopping to replace the busted (now obsolete) Harken rudder bearing. The new engine is sitting next to “Fleetwood”, my next project to install. My beer budget was for a used or rebuilt two cylinder diesel engine in the $4,000 range. I ended up with a brand spanking new Champagne taste sweet thing, shipped on a fast boat from China, for $ 4,448.95 sitting next to “Fleetwood”. Including spare belts, fuel and oil filters. This is nearly half of what a comparable engine is sold for in the US. It seemed too good to be true. 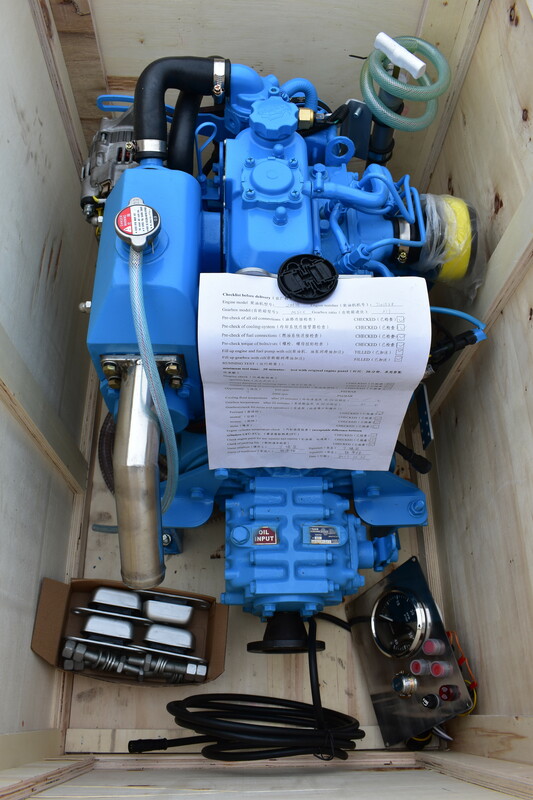 And then, after the engine shipped, I was confronted with the import clearance regulations, that it required EPA emission certification, which the Chinese manufacturer does not have. I held my breath, but somehow it sailed through. My legendary good luck? I availed myself of my vocabulary, left over from my fifty years in the international trading business, with “Ship’s Stores”, temporary import permit, and the like. This to caution anyone who might wish to follow my experiment, into the US. The instruction manual is very thorough and written in understandable English. The communications with the exporter were very timely and businesslike. The y gave me the option to have Alibaba cover this with a trade assurance. I had to telegraphically transfer the purchase cost prior to shipment. Martec has modified my folding propellor for the higher power and different gear ratio. I sent in my hub, with the old blades removed from it, about a $ 550 upgrade. I have a deadline. April 27th. The Friday afternoon of the annual Cape Charles “Harbor Party” weekend, to get “Fleetwood” floating. On Friday is the Blessing of the Fleet. On Saturday the 28th. of April from noon to 1.30, I give a presentation of my circumnavigation and book signing at the Cape Charles Civic Center in the series “Lunch & Learn” of the Friends of the Cape Charles Memorial Library. I will post links for the details in an upcoming blog. There is still a lot of work on the interior, repainting, varnishing, wiring, replacement of the electronics, etc. I am still hoping to be sail ready by the middle of June to leave for Mystic Seaport the end of June. Cape Charles has grown on me and like a few more places along the way where I stayed for an extended period, like Zimnicea on the Romanian Danube and the “De Schinkel” yacht club in Amsterdam, the Arabella Landing Marina in Gig Harbor, Wa., I have made very valuable friendships here. It will be again: Partir c’est mourir un peu. But the next shores beckon. I discovered that there were problems for a short period with the Kindle version of the Dutch version of SoloMan. There were three or four reviews on Amazon complaining that the pictures did not show. This has been corrected for the most part. But I am working to improve both the English and Dutch Kindle version. If anyone wishes a replacement, please, send me your e-mail address in the comment section of this web site or the book’s websites. Please, also be aware that the temporary price reduction, on the print edition of the English color version of “SoloMan”, ends March 31. The day of the Blue Moon. So, be sure to get your “once in a blue moon” discounted “SoloMan”. I need the royalties. On this subject: I was offered financial help from several of the readers of this blog. So far, so good. By stretching the repair period, I have been able to handle the costs from my monthly Social Security deposits. 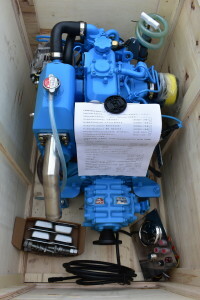 The engine was one of the major items. The uninsured portion of my back operation added to drawing my savings down. I am skating on thin ice but at 140 lbs and the help of God and all the good people I hope to continue to entertain you on this blog.